Let’s start with a question: is Joan Jessome the most hated woman in Nova Scotia? Google “Joan Jessome” and “hated,” and you’ll get 5,630 hits in less than a Google second. The top three results are news stories following the December 11, 2015, announcement she would be retiring as president of the Nova Scotia Government and General Employees Union (NSGEU). Usually, when people retire, even your enemies say kind things. While the word hate doesn’t appear anywhere in any of the news stories, the sentiment fairly oozes out of the over-stuffed Comments sections. That Joan Jessome is a lightning rod for vitriol shouldn’t be a total surprise. 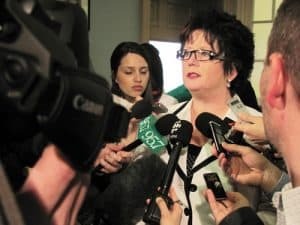 She has headed up Nova Scotia’s largest public sector union for the last 17 years — an era when public servants have been increasingly vilified not only by their government employers, but also by many among the public they serve. Under-worked, overpaid, over-perked and over-pensioned uncivil servants. Meanwhile, Joan Jessome has gone head to head, mano a mano, toe to toe on behalf of her members with four different premiers — and won far more often than she has lost. She’s butted heads with the leaders of rival unions too. Two years ago, after Premier Stephen McNeil tried to gut her militant NSGEU in favour of other, supposedly more pliable public sector unions, Jessome took on both the government and her fellow unionists. She won. Jessome even had to overcome opposition inside her own union. In 1995, when she first ran for elective office, a “dirty old boys’ club,” as well as skeptical “old-guard” staff insisted Jessome wasn’t experienced enough to hold union office. She won. And again. And again. Who is this woman so many Nova Scotians love to loath, and others just love? It is worth remembering — as you contemplate the hate — that her 30,000 union members have elected her to be their leader eight consecutive times, the last six by acclamation? So who is she? And what makes her tick? You may be surprised. 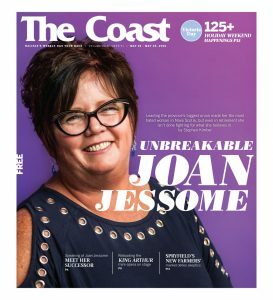 Joan Jessome was born in 1958 in New Waterford, the Cape Breton heart of Nova Scotia’s trade union movement, but she didn’t know — or care — about that then. Her father was a union coal miner and occasional moonshiner; her mother baked molasses cookies to hide the smell in case the police came by. Joan was the oldest of their six children. “I was supposed to be the caregiver, and there were great expectations.” She didn’t meet them. She returned to Cape Breton in time to give birth to her daughter, Shauna, on June 28, 1976. But Joan’s parents refused to let her return home with the baby, so she says she agreed to hand her daughter over to her local church for one month so she could travel to Halifax, land a job, get an apartment and then return to pick up her daughter. Instead, church officials called the police, who issued a warrant for her arrest for desertion. Their estrangement only finally ended 10 months later when Joan’s parents asked her sisters what they wanted for Christmas. They wanted Joan back home. She quit smoking in 1986. She landed what seemed like a steady job at the nearby Capitol Stores, working her way up to accounts payable. But, in January 1988, she was laid off. She applied for an EI manpower training course to become a medical secretary, but was turned down. Just before the course began, however, the school called. Someone had dropped out and there was an opening. Was she still interested? She graduated in May 1989, had stomach-stapling surgery in July 1989, lost weight and began working as a casual medical secretary “all over the place,” juggling temp hours with night and weekend shifts at Shoppers Drug Mart to make ends meet. By then, however, Joan Jessome had reinvented herself. She became union made. Jessome on the picket line. “Do you want to come to the local meeting?” a co-worker asked. “What the hell’s a local?” Joan replied. It was May 1990, and Joan Jessome was still acclimatizing herself to her new job as a secretary in the Nova Scotia Department of Health. It was her first ever permanent position and it came with benefits, including membership in NSGEU Local 8 (Civil Service). At the time, Jessome didn’t have a clue what that meant, or why it should matter to her. But she attended her first union meeting with the co-worker. Intrigued, she kept going. That fall, the local president decided to resign, and the chair asked if anyone wanted the job. “No one spoke up, so I did.” She suddenly became the leader of an 800-member local made up of health care, community service and labour department employees. She had found her place — taking advantage of union leadership and training opportunities — but she would only find her own, full-throated public voice four years later, on an early June night in front of 2,500 noisy protestors at a rally outside Province House. John Savage’s Liberal government had just introduced the Public Sector Workers Wage Bill, which cut the wages of provincial public sector workers by three per cent, and — insult to injury — imposed a three-year wage freeze. The next year, she ran for second vice president on the union’s provincial executive. Some told her not to. It’s too soon. Others have more experience. She ran anyway, and came first in a field of five candidates. The next year, the first vice president resigned to take a union staff job, so Jessome automatically stepped up to serve out the rest of his two-year term. When she sought re-election at the next convention in 1997, however, the naysayers again said nay. What if something happens to (union president) Dave Peters? You’d automatically succeed him and… well, you’re just a secretary. In a field of three, she won on the first ballot. Two years later, when Peters retired, she won his fulltime job, becoming the first female president in the union’s 42-year history. Unity wouldn’t be easily achieved. Some among the union executive and staff remained openly hostile. When she fired the union’s executive director — “he was not a good fit [and] the decision was mine to make” — some executive members called for her resignation. She weathered that storm and a subsequent challenge at the next convention. Her leadership would never be openly challenged again. Just five months after becoming president, Jessome had presided over a “hair-raising, please-don’t-let-anyone-die,” walkout by the province’s 650 paramedics. Nova Scotia paramedics, who sometimes worked up to 100 hours a week, were among the lowest paid in the country. After months of fruitless bargaining for a first contract, John Hamm’s freshly minted Conservative government introduced legislation to pre-emptively take away their right to strike. While that legislation was still being debated in the House of Assembly, the paramedics walked away from their ambulances. The standoff only ended 18 hours later after the government agreed to submit the dispute to an arbitrator. That arbitrator eventually awarded the paramedics wage increases of 20 to 99 per cent over three years. Two years later, Jessome pushed Hamm back to the brink — and almost over the edge and into the abyss. 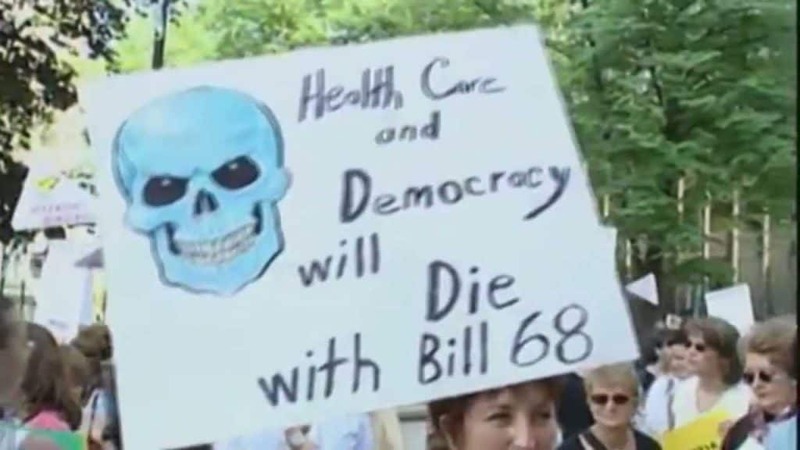 Hamm had introduced Bill 68, a much broader law to not only ban strikes in the health sector but also allow the government to impose contracts without negotiation or even arbitration, and then bar the courts from reviewing the deals. Despite threats of huge fines for anyone who violated the new law, the unions mounted massive protests and nurses threatened to resign en masse. At the last minute, the government again blinked, signing a deal with the NSGEU and two other unions that effectively killed the legislation. But not the idea behind it. It was the beginning of a 15-year-and-counting war of words and laws between a series of financially strapped, neoliberal, austerity governments of all political stripes, each more desperate to cut spending and balance budgets, and a militant public sector union, equally desperate to preserve its members’ hard-won gains in the face of cutbacks, clawbacks and attempts to destroy it. In 2010, the NSGEU officially launched a union-developed Bully-Free Workplace initiative that is still Jessome’s pet project. Offered cost-free to NSGEU workplaces and on a cost-recovery basis for other businesses, the peer-to-peer program has trained over 16,000 workers in Nova Scotia in anti-bullying approaches, and been celebrated as an exemplar at anti-bullying conferences around the world, including in Japan, Denmark and — last month — in New Zealand. Jessome also built her union’s membership. 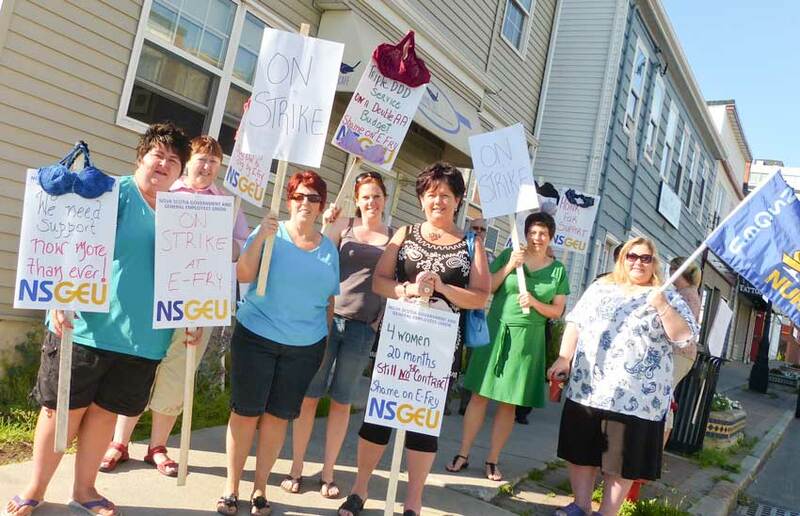 The NSGEU now represents more than 30,000 employees, 75 per cent of them female, and is still growing. She shored up the union’s once-messy finances, giving it the resources to take on governments, as well as build its own new $15.5-million headquarters, complete with a 200-seat, state-of-the-art conference facility and seven multi-purpose meeting rooms that can seat between six and 40 people, allowing the union to facilitate everything from arbitration hearings to audio and video conferences. Last year, there were 900 meetings there. 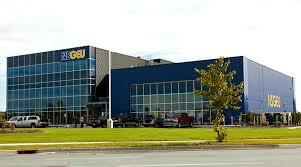 The building officially opened in September 2013 just as Jessome was beginning her eighth term as president. At that point, Joan Jessome confided to colleagues she was ready to call it an NSGEU career and seek new challenges. Then along came Stephen McNeil. Joan Jessome can be sanguine about most of the politicians she’s stared down. John Hamm was “stubborn,” but there were “no surprises. 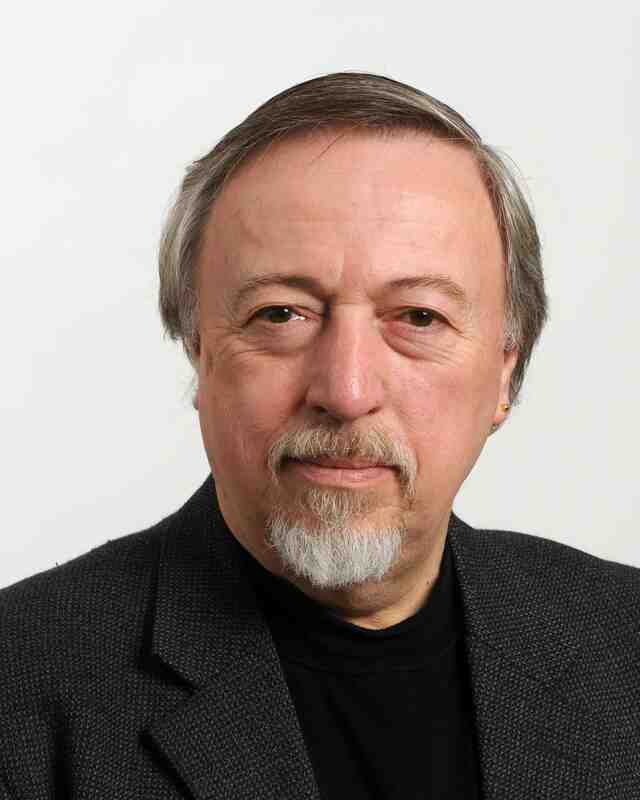 He was an honourable man.” Rodney MacDonald, his short-lived successor, was “in over his head.” Although she’s still angry with Darrell Dexter’s decision to contract out government jobs to IBM, Jessome, perhaps not surprisingly, has a soft spot for the more labour-friendly Dexter. “Stuff got fixed,” she says. It didn’t take long for McNeil’s government to change her mind about quitting. Three months later, McNeil smacked down a brief strike of nurses protesting their working conditions by eliminating the right to strike for all health care workers. But all that only served as the prelude to last fall’s draconian, still un-proclaimed Bill 148, collective un-bargaining legislation the government is still holding like a sword over the fates of the province’s 75,000 public sector workers. Their Hobson’s choice: accept the government’s final and only “offer” of a three per cent wage increase over five years — with no increases in the first two years leading up to a provincial election and no right to negotiate working conditions — or the government will proclaim its legislation and impose the contract anyway. McNeil’s scheme seemed to be working until December when the province’s usually docile 9,000 teachers unexpectedly voted 94 per cent to reject the contract, citing what they saw as the McNeil government’s bully-boy tactics. Jessome’s NSGEU, which had reluctantly recommended the government offer to its own members as the slightly lesser of evils, announced it would hold off on its own membership vote until the smoke had cleared. It still hasn’t cleared. That said, no one really expects the unions will be able to negotiate a significantly better deal. With no prospects for change until at least after the next provincial election, Jessome decided it was finally the right time for someone else to take up the fight. 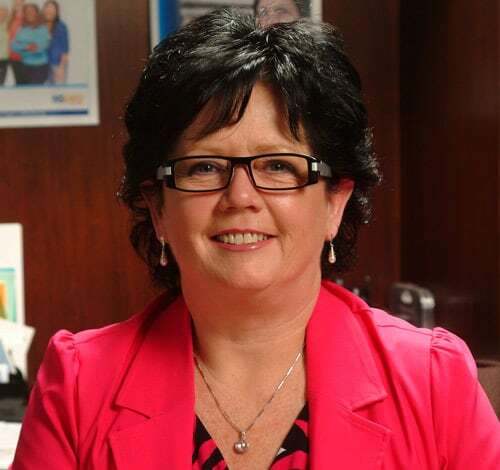 On December 11, 2014, Joan Jessome announced she was retiring as president of the NSGEU. When we’d first met for this story, in early March, Jessome’s timetable called for her to step down as NSGEU president at the convention this month and immediately launch a campaign to become the Ottawa-based secretary-treasurer of the National Union of Public and General Employees (NUPGE), the national federation of unions representing 360,000 public sector workers, including NSGEU members. Jessome’s goal, she told me at the time, was to make NUPGE a bigger and more significant player in the national labour movement. A month later, she’d changed her mind. She says now she was already having doubts about whether she could make a real difference on an unfamiliar national stage. Besides, she adds, she was facing pressures at home. She’d remarried in 2001, and she and her husband, Winston West, have a blended family of seven children and 17 grandchildren. They didn’t want her moving to Ottawa. “I was hearing it, especially from the grandchildren,” she says. Not that she’s ready to go quietly into that grandmotherly good night. She’s still just 57, and there’s lots she can do at home beyond leading the NSGEU, perhaps as a champion for bully-free workplaces or as a mental health advocate, both causes close to her heart. Joan Jessome knows what people say about her in the comments sections, even though she claims she’s long since stopped reading them. She doesn’t even want to consider what motivates the haters. But she takes comfort in knowing there are plenty of others—the pie lady, the man whose sister is a nurse who tells her to keep fighting, the stranger who stops her to tell her he loves listening to her, not to forget the thousands of NSGEU members who would still go to war if she asked them to—who aren’t ready for her to retire completely. Loved and/or loathed, Joan Jessome isn’t ready to walk away yet. She is the cancer, not Savage. Great piece, Stephen. Lots there I didn’t know and you put a human face on “the dragon lady”. Thank you Joan keep going great Job, if people like you don’t do what you do we will be back to the company house and wages that would make it impossible to get out from under.